I should have studied liberal arts. Do you have an MBA? So do most of the people I work with at my client organizations. One of the ways I add value is merely by the fact that I don’t have an MBA. 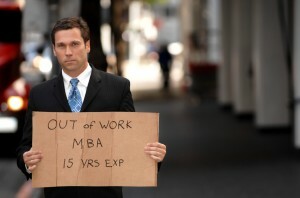 It’s not that having an MBA is a bad thing. It’s that so many companies are run by people educated in the same way — they all have MBAs. The fact that I don’t have an MBA doesn’t mean that I think better than they do. But I do think differently. Sometimes that creates problems. Oftentimes, it creates opportunity. If all your employees think alike, then you limit your opportunity to be creative. Creativity comes from connections. By connecting concepts or ideas in different ways, you can create something entirely new. This works at an individual level as well as an organizational level. If you read only things that you agree with, you merely reinforce existing connections. If you read things that you disagree with, you’ll create new connections. That’s good for your mental health. It’s also good for your creativity. At the organizational level, connecting new concepts can lead to important innovations. Indeed, the ability to innovate is the strongest argument I know for diversity in the workforce. If you bring together people with different backgrounds and help them form teams, interesting things start to happen. In this sense, “diversity” includes ethnic, economic, and cultural diversity. It especially includes academic diversity. As a leader, you want your engineers, say, to mix and mingle with your humanities graduates. Perhaps your lit majors could improve your MBAs’ communication skills. Perhaps your philosophers can help you see things in an entirely new light. In today’s world, innovation requires that you bring together insights from multiple disciplines to “mash up” ideas and create new ways of seeing and doing. Most companies keep data on ethnic diversity within their workforce. However, they don’t usually keep statistics on the different academic specialties represented among their employees. You may well have enough MBAs. But do you have enough linguists? Philosophers? Sociologists? Anthropologists? Artists? If not, it’s time to start recruiting. The result could well be a healthier, more innovative company.